I've changed this blog's protocol to HTTPS. If you use a feed reader, please update your feed reader's URL for this site. The new one is mostly the same, but uses HTTPS: https://david.dlma.com/blog/atom/1. Whenever I have to change a feed URL, I either redirect from the old one, or when I can't, I leave a message like this as the last message on the old feel URL. I had to do this once before, in 2012. Here's a mention of practicing good feed hygiene back then, too. 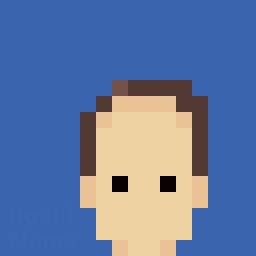 A few years ago, I created an 8-bit pixel-art version of my avatar that had a predominately blue sky and a small version of myself offset a little towards the right. The new avatar lasted for a few years. However, I grew older, grayer, and balder and my avatar didn't. I wanted to update the avatar, but I didn't want to "cheat" the rules of my pixel art. Any changes I made had to be made while retaining the 16x16 pixel dimensions of the icon. I updated the pixel-art image to make the hair thinner (more semi-transparent at the top), and grayer on the sides above the ears, and I moved the part in my hair to the correct side. And then Trump got elected to be America's next President, and everybody seemed to be more divided than ever. I wanted to add a suggestion to my avatar that I care about what's happening in America and how it affects everybody. I considered being political, but didn't want to further the divide between the right and left amongst my friends. Eventually I settled on the idea that my avatar should be shown to be thinking about everyone on the planet, not just one particular challenge. So I made room for a thought-bubble indicating that I was thinking of the Earth as a whole. 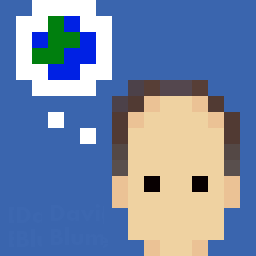 That's my attempt (above) at a 4x4 pixel-art earth in the thought bubble. Hope it worked! Eventually, I started seeing charming voxel artwork being done with magicavoxel. This seemed like an opportunity to see if I could translate my 2D avatar into 3D. Challenge accepted! 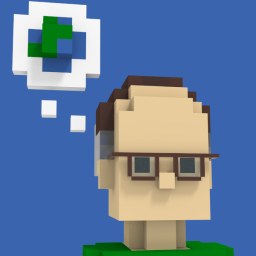 So here's my latest avatar: A 3D 8-bit voxel version of myself thinking about the world. I kept it as faithful as possible to the 2D pixel art version. Nowadays, I have to wear glasses to read, so one version of my avatar wears glasses, and another doesn't. Did you notice the cheats? The nose isn't aligned on voxel boundaries. The eyes are two voxels apart, so the nose is one voxel wide but positioned a half-voxel from each eye. It's also only half a voxel deep, but that's really hard to tell. And of course, the glasses are at 1/8 voxel scale. 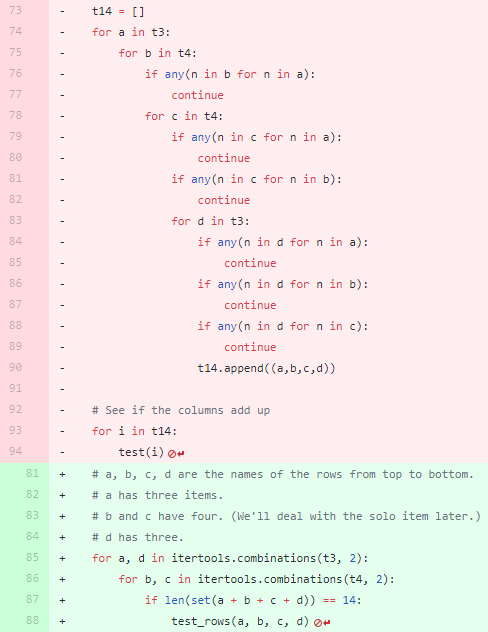 But for some reason, I allowed myself these cheats in the voxel version.